Here’s what’s happening in the world of television for Sunday, January 20. All times are Eastern. Outlander (Starz, 8 p.m.): The fourth season of Outlander has had its ups and downs, to say the least. There have been missteps and miscalculations, some odd pacing issues and tonal struggles. We’re still riveted, for the most part, by Jamie and Claire, but the series has understandably struggled to adapt a massive novel into a tight, 13-episode season, and not all the characters (or performers) have really been at their best. But none of those quibbles, not a one, extends to the gem that is one Murtagh Fitzgibbons, ye ken? If you’re unfamiliar with the character, or with the quietly terrific actor playing him (Duncan Lacroix), here is an extremely dopey video made less dopey by his charisma and terrific wig. 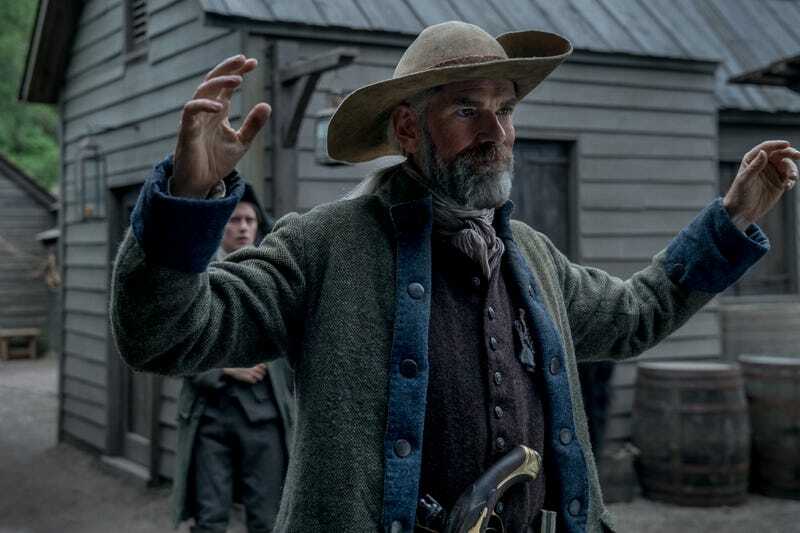 Murtagh dies relatively early in the novels, but was saved (and given an increased presence) by a series that knows when it’s got a good thing on its hands. He got himself in a bit of a scrape last week, however, so you’ll understand our concerns for his welfare. Will Outlander let Murtagh Fitzgibbons go to the gallows after saving him from an enemy blade on the fields of Culloden? No idea. Will we be greatly distressed if they so much as touch one platinum hair on his glorious head? Och, aye. Victoria (PBS, 9 p.m.): What the hell, let’s make it a long-dresses-and-proper-waistcoats kind of night and go with another historical drama with glorious costume design. It’s been a minute since we’ve checked in on Queen Victoria (Doctor Who’s Jenna Coleman) and those in her orbit; in this episode, she’ll be contending with the chartists and, undoubtedly, with her Albert. As long as Coleman wears those amazing costumes and those creepy contacts, there’s sure to be something to interest, but the consistently engaging performances make this a pretty safe bet.